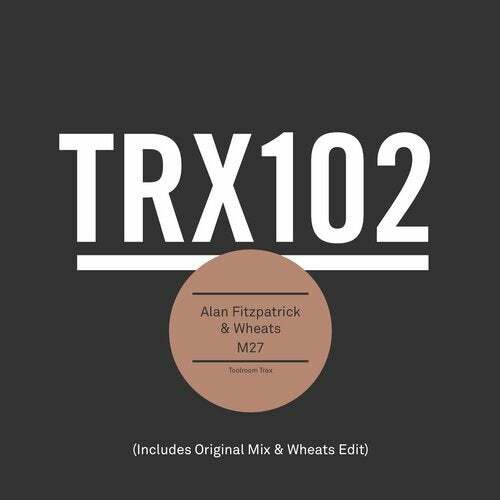 This has to be one of the most exciting collaborations ever to hit Toolroom Trax as we welcome Alan Fitzpatrick and label fave, Wheats who collab for the very first time! From Drumcode, Hotflush to Cocoon, Alan Fitzpatrick is known for his thumping techno and energy driven DJ sets. Combine that with Wheats' heavy hitting drums and distinctive sound and the result is a peak-time dance floor bomb. Alan has been championing Wheats since day one and this collaboration has been brewing for a while. 'M27' has already been debuted at Printworks and the results were nothing short of spectacular - An essential underground club cut!